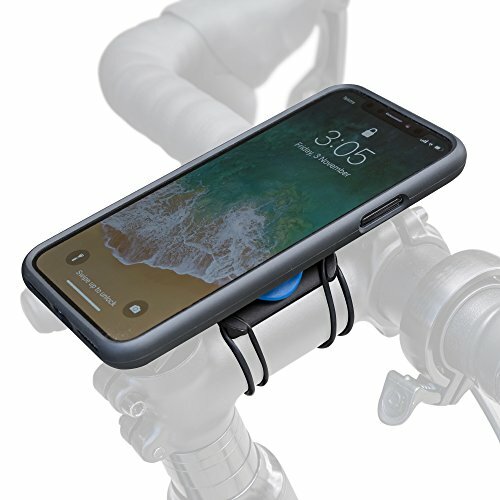 The Quad Lock Bike Mount for iPhone X is the lightest, strongest and most secure iPhone X Bike Mount available thanks to the Quad Lock dual locking system. The iPhone X bike kit is supplied with all the gear you need to mount on your bike. The iPhone X has been designed to perform better than ever with a extended battery life meaning you can ride for longer using fitness apps like Strava to track your rides or navigate around the city with ease. No need to miss messages or tweets while on the go. The Lightest, Strongest and Most Secure iPhone X Bike Mount. If you have any questions about this product by Quad Lock, contact us by completing and submitting the form below. If you are looking for a specif part number, please include it with your message.